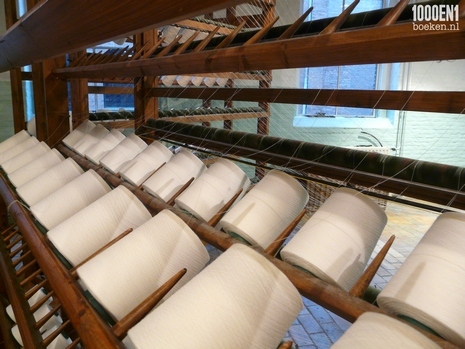 Last Saturday I visited the Textile Museum in Tilburg with my mother. From within the museum cafe I made a short film of the many rain drops. A museum that feels so familiar. 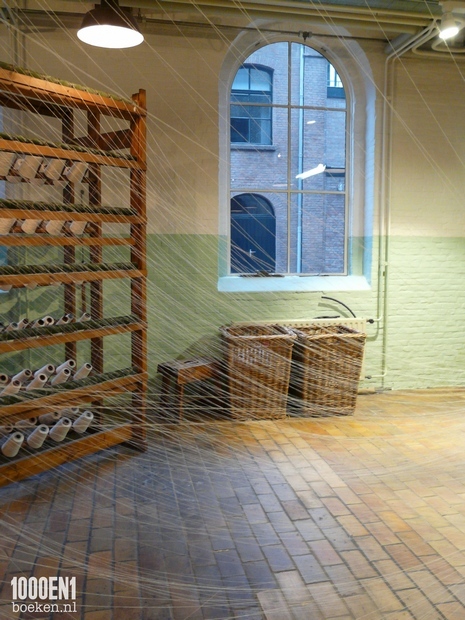 My mother followed a weaving education in Ghent and our house used to be full of weaving looms. 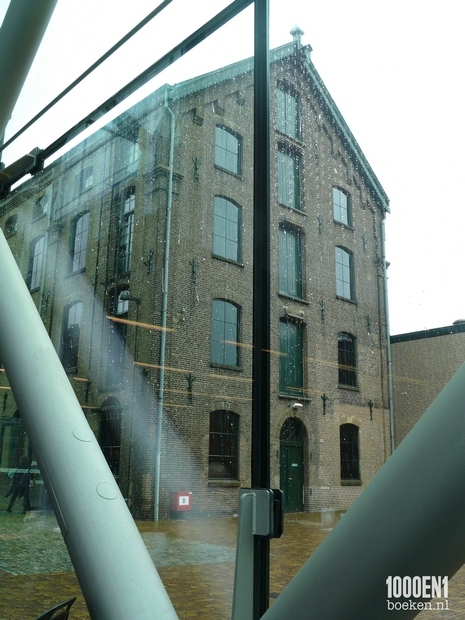 The Textile Museum in Tilburg was therefore a place where I used to come regularly as a little girl. 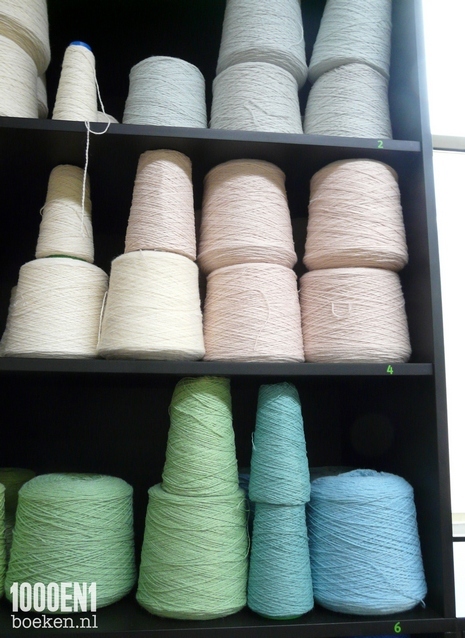 I can still remember the smell, the noise of the machines, weaving looms and yarn bobbins. 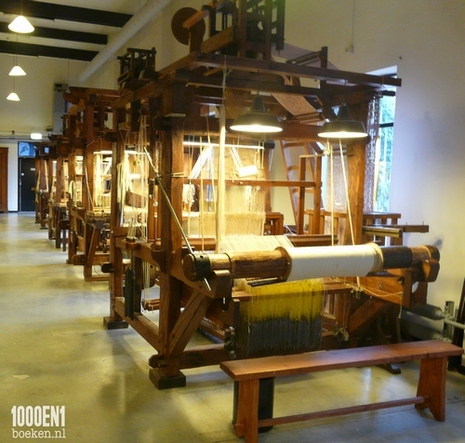 I was immediately reminded of all those fifteen minutes my father, my sister and I helped my mother at home to set up the looms. We handed her the warp threads from behind the loom, so she could get the wires through the siphons. Not my favorite job ;-) For my little lady I bought these name letters you can thread a ribbon through and they are woven in the Museum. The temporary exhibition Body Jewels stood out for me. 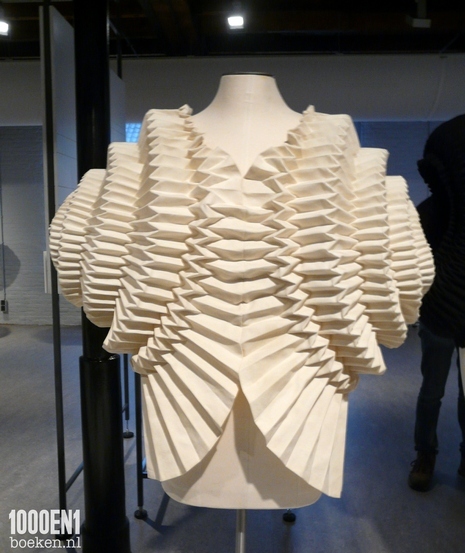 Beautiful work by Alet Pilon, swan wings and folded tunic. 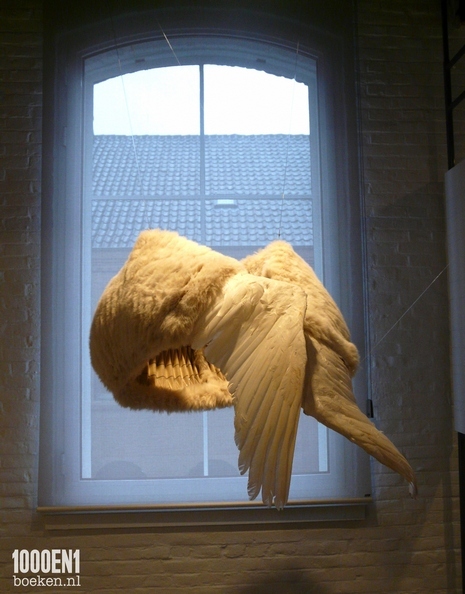 And I was very impressed by the work Beestenboel of Felieke van der Leest. I was so fascinated by this fine witty work that I forgot to take pictures. All the more reason to visit her website once more. 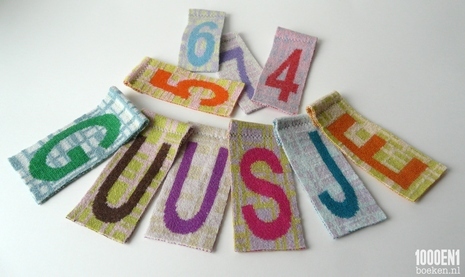 She has a background as goldsmith and just by crocheting and knitting she creates a special world.